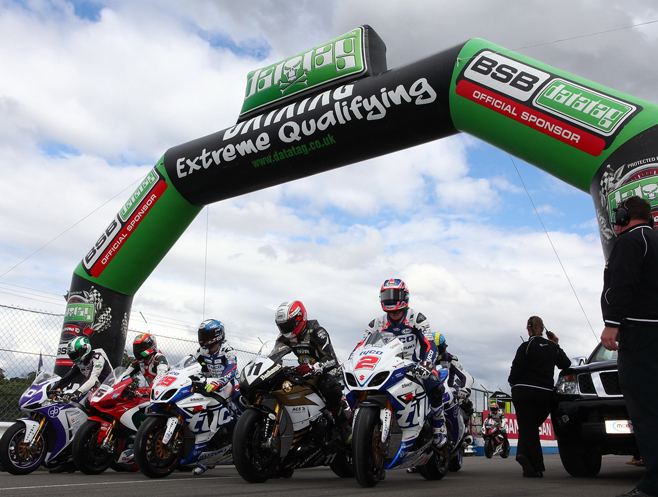 For the third year running Datatag will continue its' partnership with MSV sponsoring the Datatag Extreme Qualifying, one of the most exciting features of the thrill packed weekends which make up the MCE British Superbike Championship. The three stage knockout qualifying sessions decide the starting grid for the first MCE BSB race at each round and spectators and viewers alike will witness the weekends fastest laps during the pole position shootout as all of the Datatag Extreme Qualifying sessions will be broadcast live on British Eurosport. Datatag, as in previous years, will also continue to provide their technologies to all competing teams and their race machinery. By utilising their unique identification technology, each of the competing motorcycles across all classes will be protected and registered ensuring that they and their main parts can be traced and more importantly, identified, in the event of theft. Datatag technology will also ensure that the one bike per rider regulation is enforced. In this way and through their sponsorship of the Datatag Extreme Qualifying Datatag will continue to raise awareness of the blight that is motorcycle theft not only in the UK but also Europe-wide thanks to the ongoing Eurosport coverage. 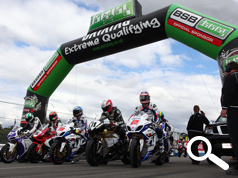 Datatag's Managing Director, Kevin Howells said: "We are extremely pleased to be able to continue our sponsorship of the 2014 MCE British Superbike Championship. The series and our involvement plays a vital role in raising awareness of the issue that is theft and with the ongoing development of the ONLY official industry supported security scheme – MASTER, we hope to be able to put an end to theft for once and for all. Early results of the effect of the Official MASTER Scheme shows a significant positive effect on reducing theft but we need as an Industry to continue to raise awareness of the problem. With this in mind it was an obvious choice to continue with our support of possibly the most exciting race series there is. We can’t wait to get started." Research undertaken by the Motorcycle Industry shows that a bike unprotected by systems such as Datatag, are up to four times more likely to be stolen* and six times less likely to be recovered. The all new Datatag Motorcycle and Scooter security identification system now includes "stealth" UV etching and even a unique forensic DNA solution making it the most effective, multi layered security marking product available today. For this reason Datatag technologies have been chosen to spearhead the fight against crime with the Industry’s Official Security Scheme - MASTER. MCE British Superbike Championship Series Director Stuart Higgs said: "I'm delighted that we have extended our partnership with Datatag, and in particular will be giving much greater exposure to the thrilling Datatag Extreme Qualifying element of the race weekend thanks to new extended live television coverage as well as helping to protect the team's most valuable equipment." Datatag are offering their Twitter followers the incredible opportunity to win 2 x VIP race day passes. The lucky winner and their guest will be wined and dined watching the races from the best hospitality suites, and will get exclusive access to the pit lane to meet selected MCE BSB riders. With a visit to team garages, a grid walk, free gifts and even an Extreme pillion ride for those brave enough it’s a fantastic prize! And to enter all you have to do is follow @DatatagID and Tweet "Protect my @DatatagID" plus list the three MCE BSB rounds you would like to attend for example – “Brands Hatch, Silverstone or Donington”.